Pendle Hill – Forest, Cuckstool Lane, Fence, Burnley, Lancashire. 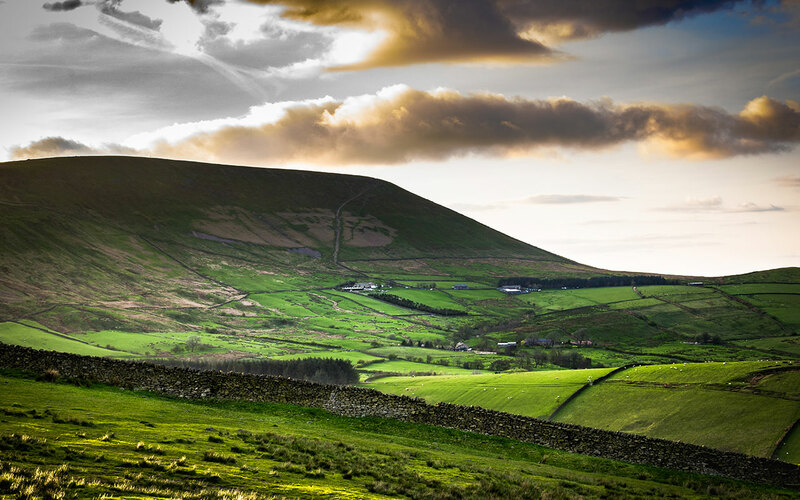 Rising 557 metres above sea level, Pendle Hill is one of Lancashire’s most famous and breath-taking landmarks. It is best known for its connections to the Pendle witches and their subsequent trial at Lancaster Castle. It is a focal point for Halloween celebrations in Lancashire each year. An eight-mile circular walk starts from the village in Downham.